REW is a software package that measures the transfer functions of acoustic systems and displays the corresponding frequency, phase and impulse responses and various quantities derived from them. If that sentence made you ask yourself what on earth is he talking about? It would be worth taking a few minutes to read through the introduction to Signals and Measurements, which explains the basic concepts. Even if you are already familiar with the terminology a quick browse through that introduction may be helpful. REW uses the logarithmic sine sweep measurement method. You can find out a great deal about the log sweep method, and the various alternatives, by reading the paper "Transfer Function Measurement with Sweeps" by SWEN MÜLLER and PAULO MASSARANI, but I'll give a basic explanation here. If you'd rather not know, you can skip the explanation. To make a measurement we need a sound source (a loudspeaker or subwoofer) and a microphone (SPL meters contain a microphone and many can be used instead of a mic). A logarithmic sweep signal is sent to the source, which is a tone that starts at a low frequency and whose frequency increases steadily to a higher frequency. What makes the sweep logarithmic is the rate at which the frequency changes, it takes a fixed time to double (for example, the time for the sweep to go from 20 to 40Hz is the same as the time to go from 40 to 80 Hz). The mic picks up the sweep, hearing the sound that travels to it directly from the source but also the sound that gets to it by bouncing off surfaces in the room first. When we have captured the sound the mic picked up, the analysis starts. A process called "Fast Fourier Transform" (FFT) is used to calculate the individual frequencies (their amplitudes and phases) that made up the sweep we sent to the source (its spectrum). The same process calculates the amplitudes and phases of the frequencies in the signal the mic picked up. By comparing the amplitudes and phases of the signals the mic saw with those the sweep contained we can work out how each frequency has been affected by the room we are measuring. This is called the "Transfer Function" of the room from the location of the source to the location of the mic - note that at a different source position or different mic position there will be a different transfer function, our measurement is only valid for one specific source and mic position. Having worked out the transfer function we can use an "inverse FFT" to get from the frequency amplitude and phase information to a time signal that describes the way any signal is changed when travelling from the source to the mic. That time signal is called the "impulse response" - like the transfer function it is derived from, it is only valid for one specific source and mic position. The impulse response is actually exactly the same signal we would see if we could emit a very short but loud click at the source position and record what the mic picks up afterwards ("very short" meaning lasting just the time of 1 sample at the sample rate we are using for our analysis, so for a 48 kHz sample rate that would be just 1/48,000 of a second which is 21 millionths of a second). You might ask why we don't just use a click then. One difficulty is that the click, because it is so short, needs to be extremely loud for us to be able to pick up what happens after the initial click over the background noise of the room. We could no longer use a speaker to generate that, we would need something like a starting pistol or to pop a balloon. We would also need a mic that could cope with both the extremely loud click itself and the much quieter echoes of the click produced by the room. You are likely to find that your family and neighbours are not that keen on you repeatedly firing a pistol to figure out what your room is doing, and even if they put up with it your results would not be as good as using a sweep. To be technical about it, you can achieve a much higher signal-to-noise (S/N) ratio by the sweep method. The S/N is determined by the background noise level and by how much energy is in the test signal, which in turn depends on how loud the signal is and how long it lasts. An impulse is extremely short, a few millionths of a second, so to get any significant energy it needs to be very loud. A sweep can last for many seconds, so even at a modest volume its total energy can approach as much as a million times more than an impulse. Once the impulse response has been obtained, it can be analysed to calculate information about how the room behaves. The simplest analysis is the FFT, to show the frequency response between the source and mic positions. However, we have some control over it. Altering which part of the impulse response is analysed by the FFT changes what aspect of the room's response we see. The early part of the impulse response corresponds to the direct sound from the source to the mic, the shortest path between them. Sound that has bounced off the room's surfaces has to travel further to reach the mic, which takes longer, so the later parts of the impulse response contain the contributions of the room. "Windowing" the impulse response to look at only the initial part shows us the frequency response of the direct sound with little or no contribution from the room. A window that includes later parts of the response lets us see how the room's contribution alters the frequency response. The ability to separate the contributions of the direct and later (reflected) sound is a key difference between the frequency response derived from an impulse response and one we would get from an RTA, for example, which can only show the total combined response of source and room. Other information we can get from the impulse response include a "waterfall" plot, which is generated by moving a window in steps along the response and plotting the various frequency responses in order to produce a 3D picture of the way the response changes over time, and the room's "RT60" data, which is the time it takes sound in various frequency bands to decay by 60dB (meaning 1,000 times smaller than it was). A USB microphone that comes with a calibration file. Such a mic can be used for low frequency or full range measurements. If the cal file also has sensitivity data in a format REW recognises, it can also act as a calibrated SPL meter. The MiniDSP UMIK-1 is recommended and has calibration data in an REW-friendly format, see www.minidsp.com. A final option is an analog microphone, but most mics will require a preamplifier to produce line level and to supply the mic with phantom power. An SPL meter is still ideally required to provide a reference SPL figure against which to calibrate REW's SPL display. For full range measurements the mic must be calibrated for accurate results. A tripod to support the mic or meter (hereafter just called "mic"). Small movements of the mic can result in large variations in the measurements, for repeatable results a means of supporting the mic for a prolonged period is essential. For low frequency measurements (below a few hundred Hz) the mic can be set pointing straight up. This avoids having to move it to measure different speakers and makes it easy to read the display on a meter. Use a "90 degree" mic calibration file if pointing the mic upwards. To make measurements at higher frequencies it is best to point the mic directly at the speaker being measured. Use a "0 degree" mic calibration file in that case. In both cases the mic should be placed at ear height in your usual listening position. If you are using a USB mic your computer's headphone output can generate the test signals REW uses, no soundcard needed. If you are using an SPL meter or a mic with a preamp then a soundcard (internal or external) with line inputs and line or headphone outputs is required. Note that most PC and laptop mic-only inputs are NOT suitable and should not be used (they have too much gain and most suffer from high noise levels and limited bandwidth) but combination mic/line inputs can be used successfully. Inexpensive or built-in soundcards are typically adequate, a reference measurement of a loopback connection can be used to remove the soundcard's frequency response from the measurement. Cables to connect from your SPL meter or mic preamp's output to your soundcard (if you are not using a USB microphone) and from the soundcard's line or headphone output to an input on your AV processor or equaliser. The leads need to be long enough to reach from your computer to your listening position (where your mic will be placed) and to your AV processor or equaliser. 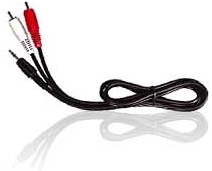 If your soundcard has phono (RCA) connectors phono-phono leads will be needed, if the soundcard has 3.5mm (1/8") sockets you will need a pair of stereo jack plug to stereo phono plug leads (also called Y adaptor cables, Radio Shack part 42-2550) or stereo audio adaptors (Radio Shack part 274-883), see images below. If you use Y adaptor cables you will also need two phono socket-to-phono socket adaptors (also called RCA phono plug couplers, see image below) to connect to the leads that run to your SPL meter and AV processor (Radio Shack part 274-1553). If connecting to a BFD Pro DSP1124P or FBQ2496 you will need phono to mono 1/4" jack plug adaptors like that pictured below (Radio Shack part 274-884). An interface to your equaliser if using REW's RS232 or Midi communication capabilities to set up the equaliser's filters. Requirements for communicating with TAG McLaren AV processors are detailed here, for BFD Pro DSP1124P or FBQ2496 (Midi interface) look here. The overall setup for measuring when using an SPL meter is shown below. If you are using a USB microphone you do not need to make any connections to the soundcard inputs, just connect the mic to a USB port on your computer. When not using a USB mic, one of the soundcard's input channels is used to measure the sound pressure signal from your mic or meter, it must be connected to the meter's or mic preamp's analogue output. The default is to use the Right input, but either input can be used. A control in the Soundcard Preferences tells REW which input to listen to. One of the soundcard's output channels (typically the Right) must be connected to an input channel on your AV processor or to the input of your equaliser. Connecting to your AV processor allows you to make measurements that will show the response of main speakers as well as the subwoofer, and to view the integration between subwoofer and main speakers. The effects of your AV processor's bass management can be included in the measurements. 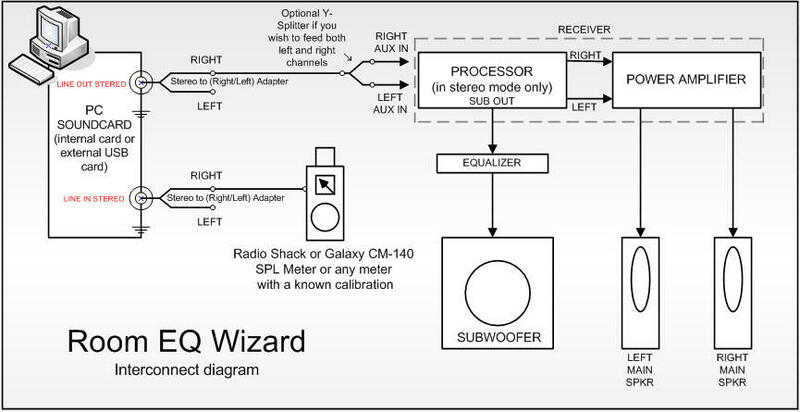 Connecting to the left or right channel of an analog input will allow the corresponding main speaker and the subwoofer responses to be measured - turn off or disconnect the main speaker or the sub to exclude them from a measurement. If your computer and AV processor both support audio over HDMI you can also use an HDMI connection to carry the audio (the HDMI audio driver needs to be selected as the output device). The other input and output channels do not need to be used for basic measurement. The response of the soundcard itself can be compensated for by taking a reference measurement with the output connected directly to the input and configuring REW to subtract that measured response from subsequent room measurements. However, it is also possible to use a loopback connection from the soundcard's other output to its other input as a timing reference for REW to automatically compensate for the time delay in the soundcard and operating system when it makes a measurement. A timing reference is required to compare phase or time delays between measurements or for getting speaker delay settings correct in multi-channel systems. If you wish to do this you may need an additional RCA phono plug coupler to make the loopback connection. Whether REW uses one channel as a timing reference is controlled by a selection in the Analysis Preferences. When the input is via a USB microphone instead of a soundcard an acoustic timing reference can be used. If an acoustic timing reference is used REW will generate a timing signal on the output that has been selected to act as the reference before it generates measurement sweeps on the channels being measured. The timing signal is a high frequency sweep to allow accurate timing, a subwoofer cannot be used as the reference channel. Measurements will have a time delay that corresponds to the difference in their distance from the microphone compared to the distance of the reference speaker - if the reference speaker is further away the delay would be negative. Note that multiple sweeps cannot be used with an acoustic timing reference. 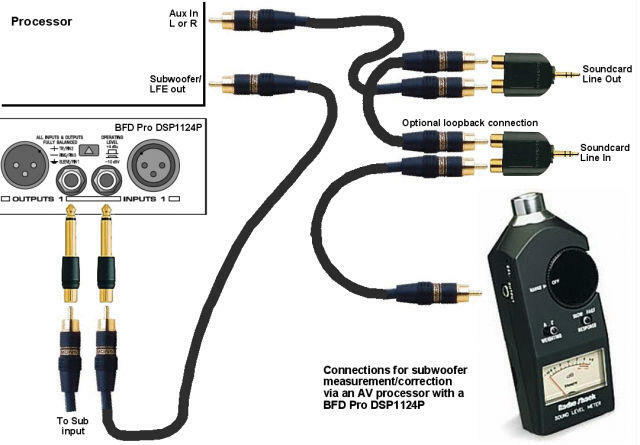 If using an equaliser(such as BFD Pro DSP1124P or FBQ2496) to optimise your subwoofer's response it should be connected between your AV processor's LFE/Sub output and the subwoofer's low level input. For a BFD Pro the operating level switches on the rear panel should be pressed in to select the -10 dBV range. If the AV processor input being used has an anti-clipping feature (automatically reducing its sensitivity if it detects large signals) this should be turned off, as it could shift the measurement levels. The sensitivity of the input should ideally be set to 0.5V, though this is not critical. The TAG McLaren AV32R DP and AV192R allow the test signal input to be routed to any speaker output via the Test Signal entry within the TMREQ filter menus for each speaker, which is handy for measuring other speakers (see this note for details). They seem to be the only AV processors with such a facility, other processors may have 5.1 or 7.1 analog inputs that can be used to similar effect, but in some cases bass management will not be applied to such inputs, limiting the ability to check sub/main speaker integration. 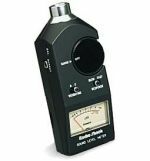 If you are using an SPL meter as the input the meter's range should be set to the value normally used for speaker level calibration and must not be altered while using REW. If you are using the Radio Shack meter, select the 80dB range if you calibrate your system at 75dB (this is the standard level recommended by DolbyTM). Set your meter to C weighting and "slow". If you are using a USB mic or a mic and preamp for measurement, you will need to select the Mic or Z Weighted SPL Meter option in the Mic/Meter Preferences. Having assembled the equipment required we can look it how REW itself is organised for making and analysing measurements in the REW Overview.